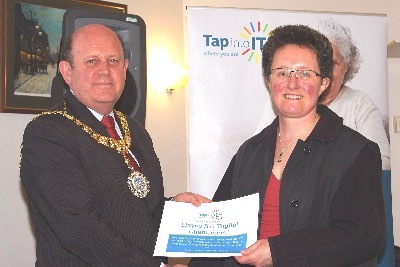 Tap into IT celebrated it’s first anniversary as a registered charity by hosting an award ceremony, with the help of Frank Ross, Rt. Hon. 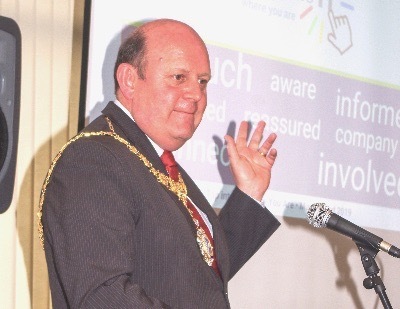 Lord Provost of the City of Edinburgh, followed by a tea party. 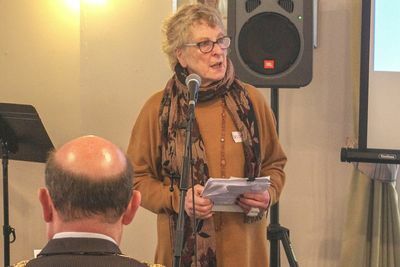 Guests including service users, volunteers and supporters gathered in the Viewpoint Housing Association common room, Gillespie Crescent, Bruntsfield, for the celebration on Friday, 21 March 2019. 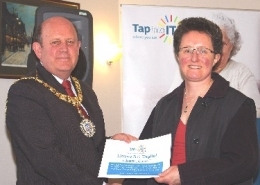 Bridget Stevens, Tap Into IT’s Chairperson, welcomed over 100 people to the celebration. She offered thanks to the service users, volunteers, supporters, Viewpoint Housing Association and of course, Mike Ellis, Executive Director of Tap Into IT. 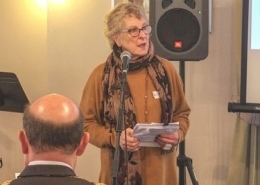 Jacqueline Loose, representing Club Users, recognising that they have risen to the challenge of discovering different ways of communicating, interacting and getting things done, using digital technology and the internet. Also the ways they’ve then encouraged their peers to do the same. 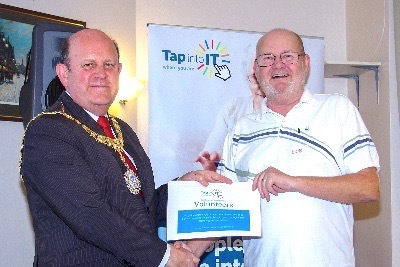 Bob Sutherland, representing Tap Into IT volunteers and recognising how they give of their time unstintingly along with their skills and good humour. 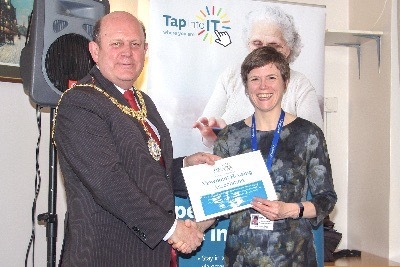 Esther Wilson, Director of People and Place at Viewpoint Housing Association, recognising their funding of essential support through Tap into IT, enabling residents and others locally to access the internet and technology, bringing people together and improving their quality of life in the process. 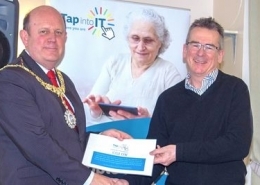 Bob Duncan from CGI, one of our corporate supporters. 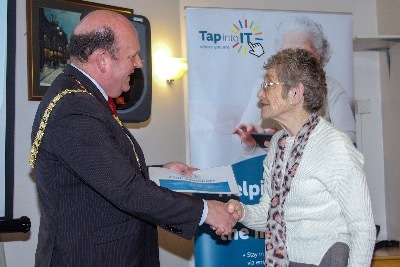 Carina Dunnane representing Lloyds Banking Group staff who have given of their time and skills as part of Lloyds’ ‘Digital Champions’ scheme to help us enable older people using our Clubs to keep in touch through digital technology and the internet. Kate Christie of The Lintel Trust unfortunately could not attend as planned but we recognised the Trust’s funding support which enabled Tap into IT to employ a part-time Administrator for 15 months at a crucial stage in our development as a service providing support to people to stay in touch and involved through the internet & technology. 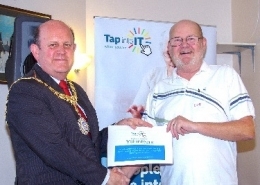 After the award ceremony, Mike Ellis took the floor and personally thanked all parties involved with Tap Into IT. 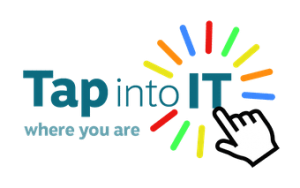 He also announced the launch of the NEW Tap Into IT website and hopes it will attract more service users via third party supporters. He thanked Fiona Hall with a bunch of flowers for giving so freely and generously of her time and skill in designing and building the site. 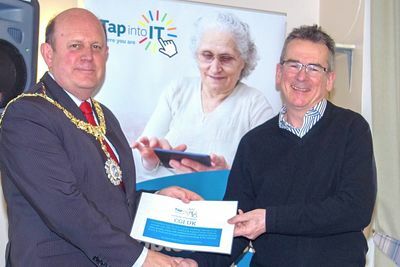 Mike went onto play a video offering a visual representation of how Tap into IT helps it’s service users. Finally, the afternoon concluded with a welcome cup of tea, selection of cakes and a chat.